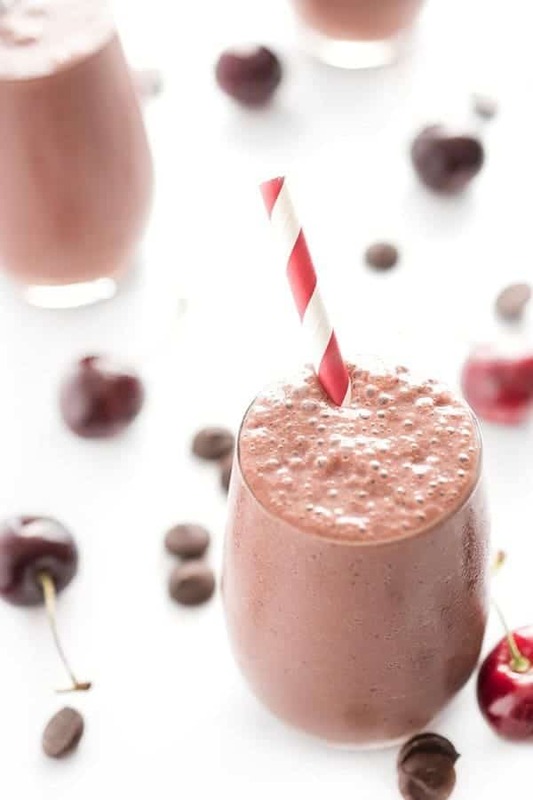 This thick and creamy chocolate cherry breakfast smoothie is packed with over 26 grams of protein per serving! 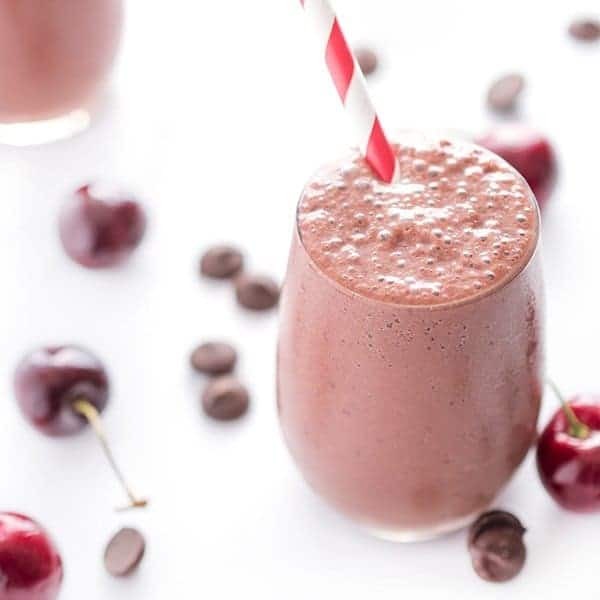 Cherry season is in full force here in Michigan and to celebrate I’m sharing one of my favorite 2-minute breakfast recipes: a rich and creamy Chocolate Cherry Protein Smoothie. 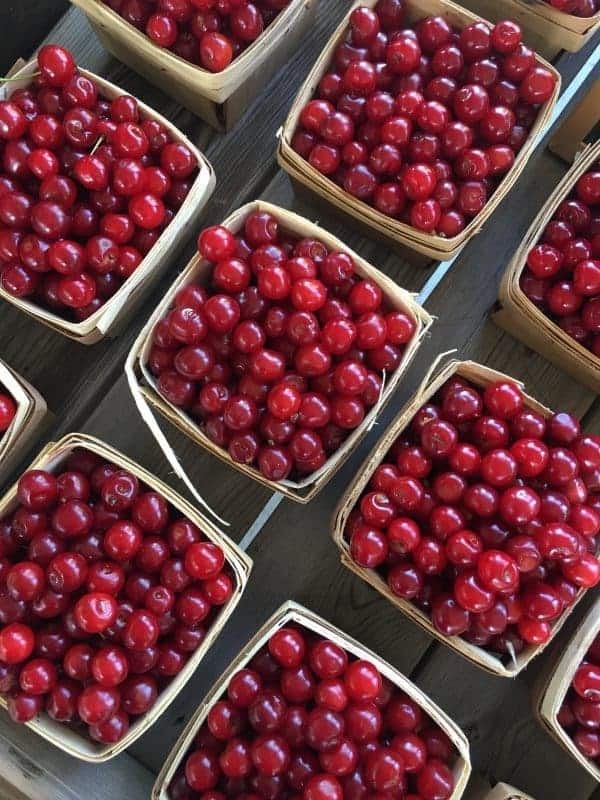 As the cherry capitol of the world, it probably doesn’t surprise you that we get pretty excited when the juicy fruit starts lining the local farm stands. For this particular recipe, I love using sweet cherries but tart cherries would work well too. You can always add sweetness with a little honey if needed but I prefer to use fruit to sweeten my smoothies. 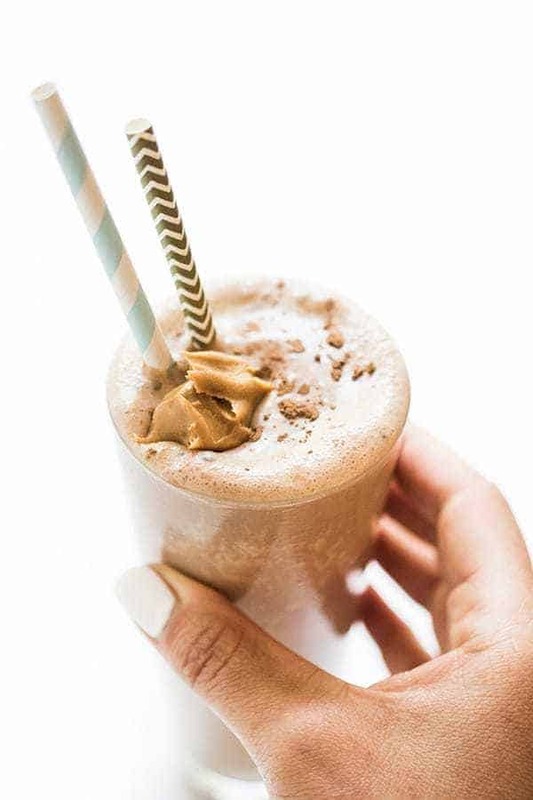 For a rich chocolate flavor without a lot of added fat and calories, I add in cocoa powder before blending the smoothie. You can use regular or dark chocolate cocoa powder. Either way, don’t be shy – cocoa powder is a great source of antioxidants. Instead of my usual yogurt or protein powder addition, this time I decided to switch things up by blending in low fat cottage cheese. An excellent source of protein, vitamins and nutrients, I actually prefer the slight tangy, salty flavor it adds to the smoothie. 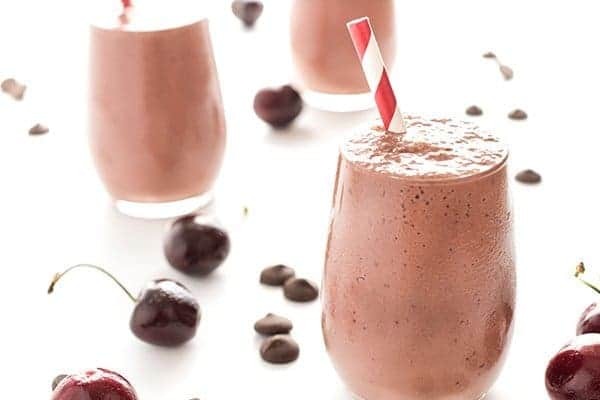 Packed with over 26 grams of protein per serving, my Chocolate Cherry Protein Smoothie is my new favorite smoothie recipe for summer. Try it today! 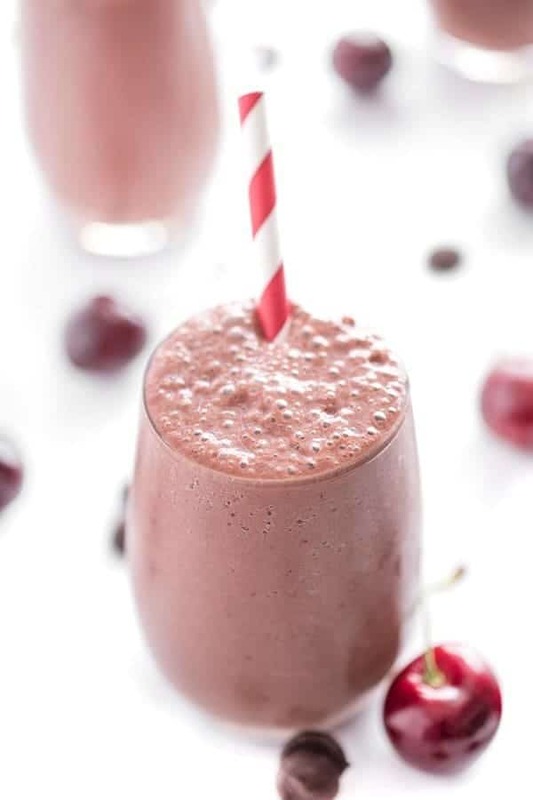 This thick and creamy chocolate cherry breakfast smoothie is packed with over 26 gras of protein per serving! Place all ingredients in a high-speed blender along with desired amount of ice to thicken and puree until smooth and creamy. Divide between two glasses to serve. Serving size varies based on how much ice you add. Disclosure: I am honored to be a Dairy Ambassador for Milk Means More. Thank you for supporting the brands that make The Lemon Bowl possible. All thoughts are my own. 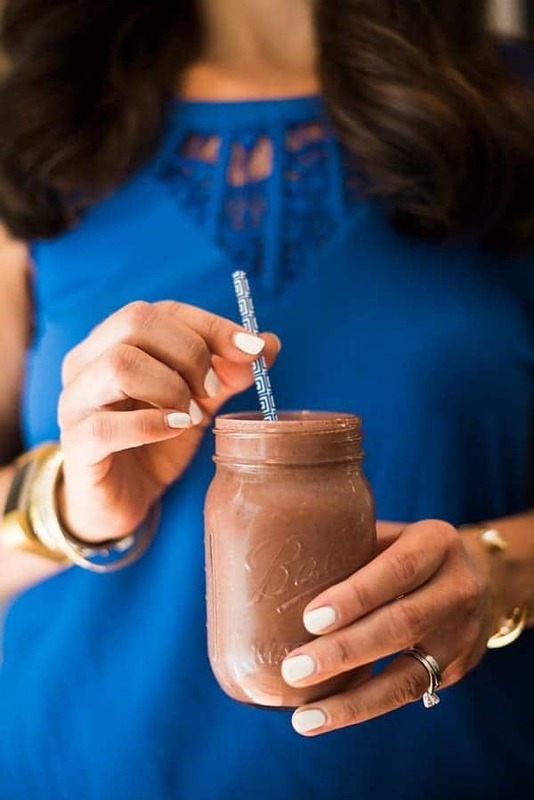 Check out my Pinterest board for more smoothie recipes! This would be the perfect breakfast to go in the morning! Such a cute recipe! Thank you for sharing. 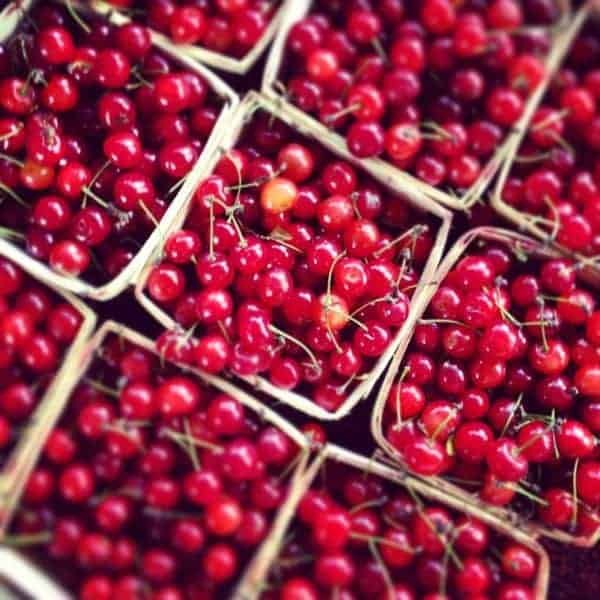 I love cherry season! And chocolate and cherry are such a tasty combination! This looks absolutely amazing! Smoothies are my go to! Chocolate + Cherries are so good together! It really can’t be beat! This is like healthy dessert for breakfast, love it! My husband is smoothie OBSESSED, so I am always looking for new ideas. I love the combo of chocolate and cherries, so these are happening! We are loving this one lately!! I honestly am sold on it! All. Those. Cherries!!!! 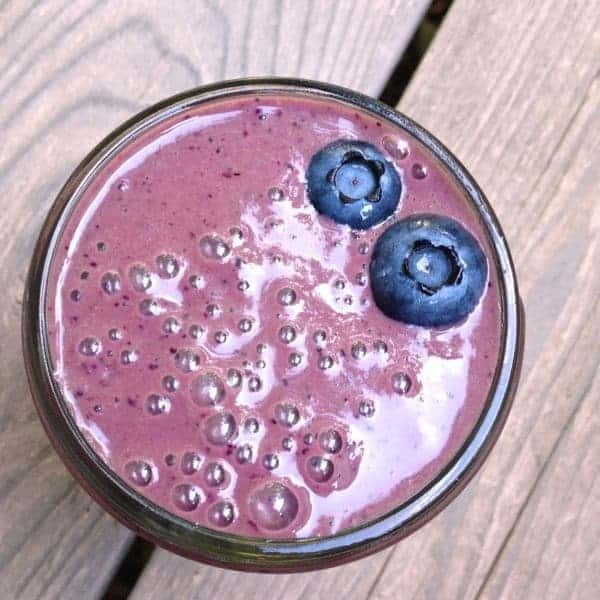 I’ve never tried cottage cheese in my smoothies, need to give that a go! I was a little hesitant but it was so so good! I can’t wait to try this. I’m always looking for new smoothie ideas and adding cottage cheese is one I hadn’t thought of. I always have cottage cheese on hand and love new ways to use it. I have to say – it was SO good ! !